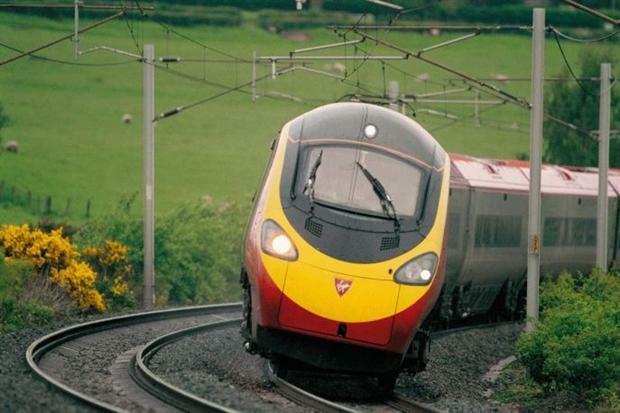 Virgin and Stagecoach have won a bid to run the re-privatised East Coast mainline route from London to Edinburgh, growing the Virgin brand's share of Britain's rail network. The Virgin-Stagecoach consortium, Inter City Railways, is 90%-owned by Stagecoach and 10%-owned by Virgin. The deal will result in a new fleet of Virgin-branded trains servicing the route. The two companies have vowed to invest £140m into the route and will pay the Government £3.3bn for the eight-year contract. The group has promised to improve journey times, introduce 65 new ‘Super Express’ trains, boost capacity by 50% by 2020 and provide free Wi-Fi on trains and at stations. Inter City Railways fended off competition from other bidders, including First Group and a partnership between Eurostar and French business Keolis. Virgin and Stagecoach already operate the West Coast line, with Virgin owning 51% of the operation and Stagecoach owning 49%. Inter City Railways will take over the line’s operation from 1 March next year when it becomes re-privatised. Transport secretary Patrick McLoughlin described the deal as "fantastic for passengers and staff". He said: "It gives passengers more seats, more services and new trains. "We are putting passengers at the heart of the service. I believe Stagecoach and Virgin will not only deliver for customers but also for the British taxpayer." However, the news has not been welcomed by transport unions. Mick Cash, the RMT’s general secretary, accused the Government of "bulldozing ahead with the re-privatisation" despite the public sector operator handing back "billions of pounds" to the public and "delivering huge improvements in service and customer satisfaction". The East Coast line has been public since 2009, after previous private sector operator National Express underwent financial difficulties. Patrick McCall, senior partner at Virgin Group, said: "Our partnership will concentrate on areas for which Virgin is famous, such as looking after our customers and our people. "We have a great opportunity to blend the successes of the East Coast and the West Coast lines to create a great experience for all. "Together with these new ideas and initiatives, passengers will begin to see those Virgin touches on each and every journey." Virgin - Let the brands run.